Copied from Riga.in. My compliments to this terrific resource! Otherwise the pic has obviously been taken at a venue hosted by the Latvian state railway company. 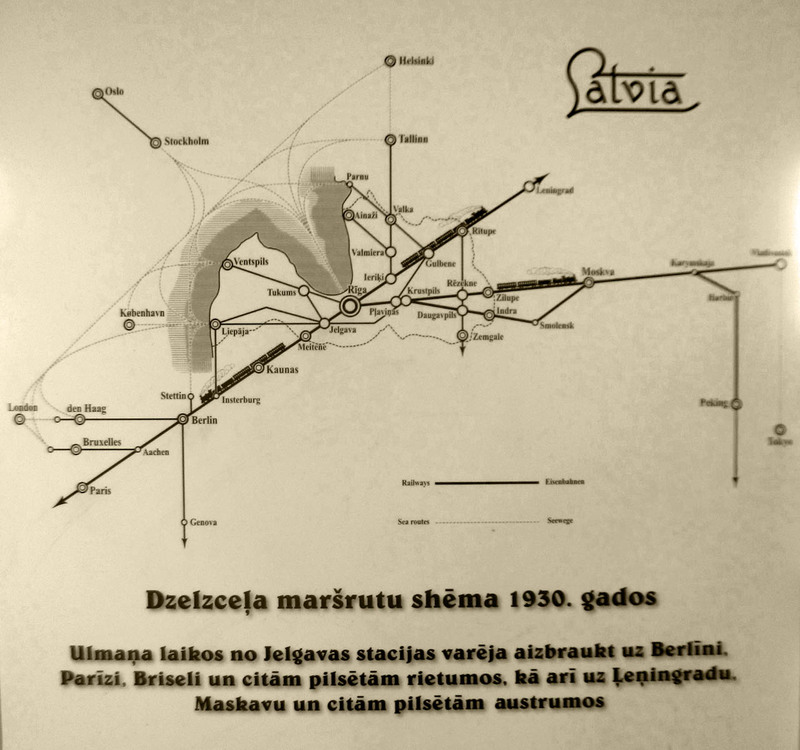 the web at least in Latvia, or to people curious about the history of the railway transport in Europe and its remote corners, like Latvia. 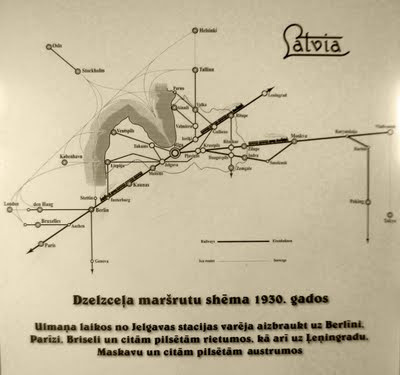 Yes, Latvia has a reach history of its railway transport. The more pitiful it is to witness the railroad network being phased down. The current status demands quick measures of investing heavily in its upgrade so that the railroads are capable of competing with bus carriers locally or both buses and airlines internationally. Invest or die. I'm sure the future belongs to the more environment-friendly, faster and comfortable rail transport. Faster rail links between Latvian towns and regions would make the country smaller, cosier, improve the mobility, make remoter places attractive for living. All in all, a reliable railroad network would play a role as critical in promoting economic development and cementing the nation as back in the early 20th century, or in the 1930s as on the picture. I believe, the life is suddenly different as you've climbed up the value pyramid once the communiting between your village and the nearest city and Riga is no longer an issue. It adds value, it broadens your choice, it lets you create more value where you are, not necessarily on an foreign strawberry field. Again, I'm sure Latvia urgently needs an investment programme for the upgrade of its railroad network. Of course, the famous Rail Baltica linking us to the rest of the EU must advance as fast as possible and this should no longer be questionned in favour of fraudulent deals, such as Rail Moscovia. I mean a high-speed train to Moscow and/or St Pete would also be a very good idea, but even considering this nice idea does not seem particularly purposeful before at least the Latvian politics is free of thieves. Still, I am talking about investing in the local railroad network, the links between Latvian larger and smaller places. This would be an investment in the quality of life for people, an incentive to value your status that would maybe keep you from abandoning your place. This would also increase the mobility that may at all let you start considering moving from the City to somewhere else (my humble dream). Some would say there is no demand. Create the demand! We should create this demand, we should spend a substantial portion of our tax money on railing the nation. Having a functioning and relaible link, people will find their purposes for using it. We should spend our tax money on creating reliable infrastructure both for businesses to utilise it for adding value to our economy and paying our salaries and for those of us who need a reliable environment and the feel of tomorrow for staying at home, giving birth to children, living good quality lives. Not just rail, the whole bunch is needed, including the roads, bridges, communication services, harbours, wires and pipes, you name it. And libraries, museums, schools, hospitals. And the reconstruction and rebuilding of ugly Soviet ghettoes, replanning city transport networks... I may have forgotten tonnes of other important areas, maybe others will remember them better. I strongly believe these are the things that will let people stay at home keeping them from emigrating. Not the brainwashing.